People of all age group prefer drinking milk. Milk is considered as source of calcium. When milk is taken in its pure form then it has many plus points like it will supply directly nutrients, fats, vitamins, minerals in required amount which will be easily digestive. 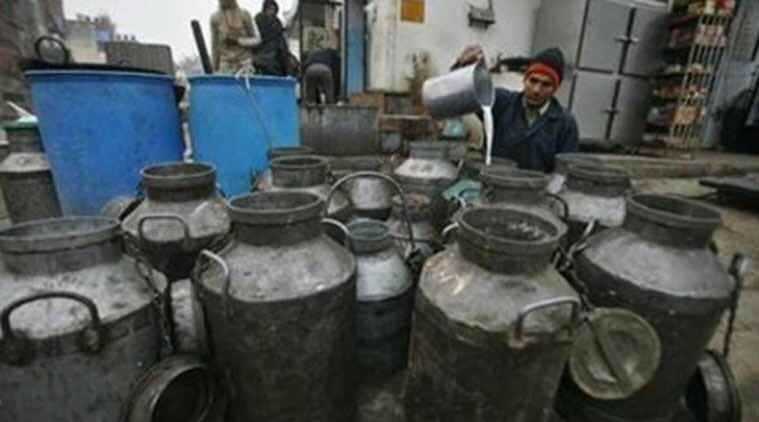 For increasing the quantity of the milk many milk Sellers add water ex.1L of milk contain 87% of water or else they adulterate the milk adding detergent, skim and milk powder and keep the milk in unhygienic place which provides an ideal room for bacteria to grow and kill the original nutrients. Most of the give their milk to co- operative sectors by whom they are not paid enough to look after the family and animals.on the other rapid growth in population leading to increase in demand for milk for meeting that demand and for own expenditure adulteration starts from there. First stage starts with farmer: farmer don’t provide good quality of fodder to their cattle and use many medicals unsafe ways to increase the hormone in the animals. At the end for in the lust to earn more and more they add water and milk powder for increasing the quantity. Second stage where # agent plays: after collecting poor quality of milk from the farmers. He adds formalin and hydrogen peroxide for maintaining its freshness. Store them for day or two then sell it. King comes with its milk brand: gets milk from the agents add their own skimmed cream for making it variants and sell it at different prices because their main motive is earning profit. Changing the process suddenly is impossible no doubt it will take time. In urban areas taking milk directly from the farmers is still a dream which every urban people watch with their open eye. The only option left before is taking milk from the government certified farms who will directly gives milk to us in its pure form.